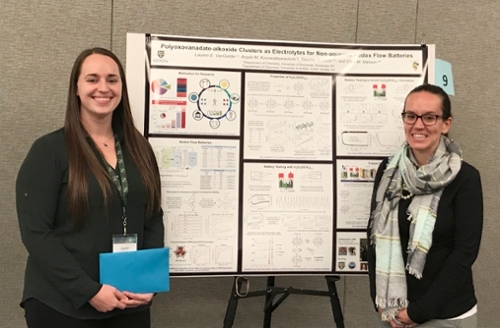 Jana Jelusic, an undergraduate working in the Bren Lab in collaboration with the Krauss Lab, won "Best Poster" in the Natural Sciences for her work in "Photocatalytic Hydrogen Production Using CdSe Quantum dots and Cobalt Catalysts" at the Undergraduate Research Expo. 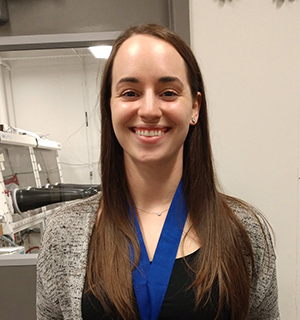 Lauren VanGelder, graduate student in the Matson Group, was awarded the 2019 Anna Louise Hoffman Award for Outstanding Achievement in Graduate Research from Iota Sigma Pi, National Honor Society for Women in Chemistry. NSF Graduate Research Fellowships Awarded to Trevor Tumiel and David Vargas. Others Receive Honorable Mention. Trevor Tumiel, a graduate student working in Prof. Todd Krauss’s lab, has been selected as an awardee for the NSF Graduate Fellowship Award. After graduating from St. Joseph’s Collegiate Institute, Trevor attended Canisius College where he obtained a degree in Chemistry (B.S.). 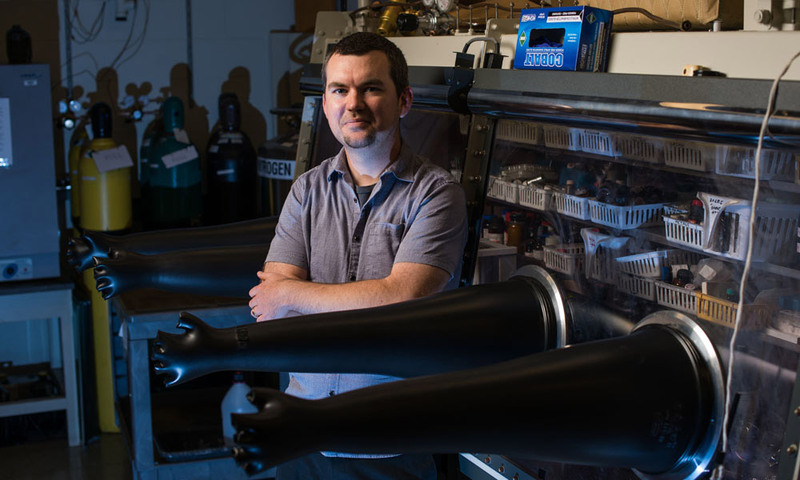 He is currently pursuing his Ph.D. at the University of Rochester, where his research focuses on studying carbon nanotube photophysics, probing how surface defects can be used circumvent obstacles in developing nanotube-based photochemical applications. 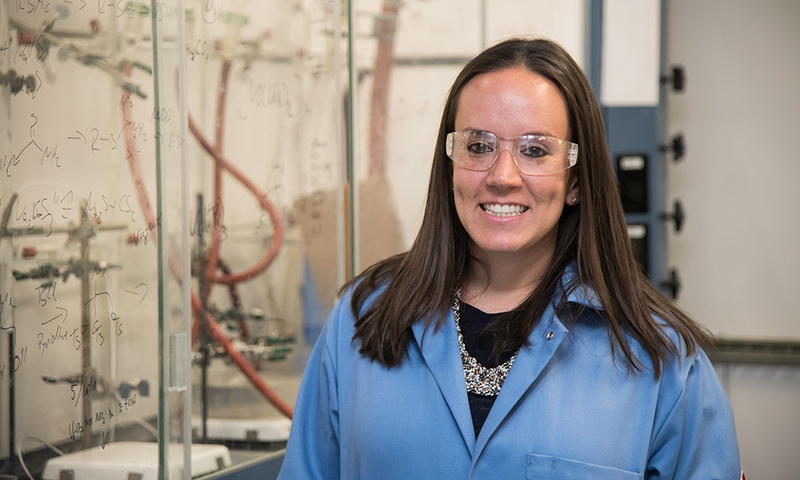 Assistant Professor Rose Kennedy will officially join the Department of Chemistry faculty as of January 1, 2020. Dr. Kennedy received a B.S. in Chemistry in 2011 from the University of Rochester. 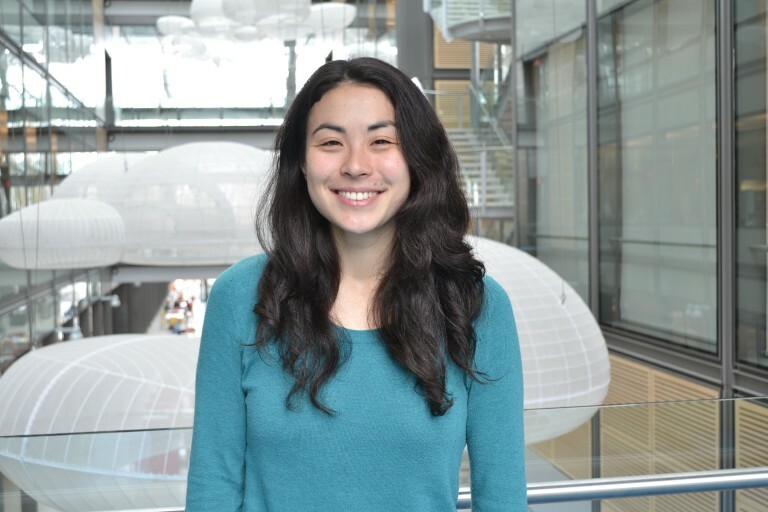 She then joined the lab of Prof. Eric Jacobsen at Harvard University as an NSF graduate research fellow, completing her dissertation entitled “Mechanistic Studies in Ion-Pairing Catalysis with Dual Hydrogen-Bond Donors” in December 2016. Dr. Kennedy has since been conducting research as an NIH Postdoctoral Fellow with Prof. Paul Chirik at Princeton University. We are thrilled to have Dr. Kennedy return to Rochester and the Department of Chemistry soon. 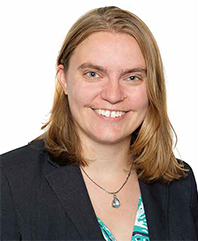 Ellen Matson, assistant professor of chemistry at the University of Rochester, is a recipient of the 2019 Sloan Research Fellowship. Awarded annually by the Alfred P. Sloan Foundation since 1955, the fellowships recognize young scientists for their independent research accomplishments, creativity, and potential to become leaders in the scientific community. Each fellowship carries a $70,000 two-year award. 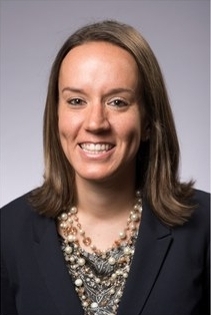 Ellen Matson, an assistant professor of chemistry at the University of Rochester, has been named a 2019 Cottrell Scholar by the Research Corporation for Science Advancement (RCSA), an organization devoted to the advancement of STEM through funding projects in the physical sciences. RCSA funds innovative research of college and university faculty members. The foundation was originally established by UC Berkeley professor Frederick Gardner Cottrell in 1912, who invented the electrostatic precipitator to counter air pollution produced by the industrial revolution. 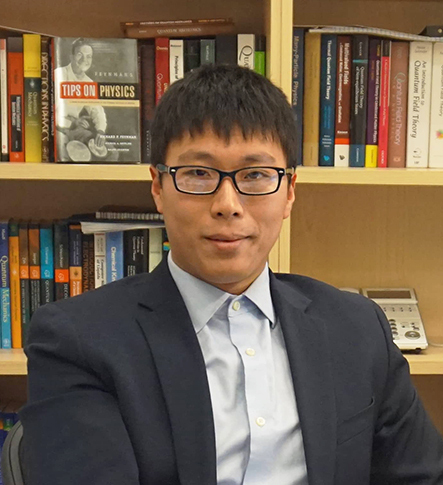 Congratulations to UR Chemistry Assistant Professor Pengfei (Frank) Huo who is the recipient of a 2018 CAREER Award from the National Science Foundation for his proposal entitled “Quantum Dynamics of Photochemical Reactions in Solar Energy Conversions.” The Faculty Early Career Development (CAREER) Program is a Foundation-wide program that offers the NSF's most prestigious awards in support of junior faculty who exemplify the role of teacher-scholars through outstanding research, excellent education and the integration of education and research within the context of the mission of their organizations. Such support is expected to help build a firm foundation for a lifetime of faculty leadership in integrating education and research. Dr. Kara Bren has been named a fellow of the American Association for the Advancement of Sciences (AAAS). She was among 416 members of the association being recognized for their “efforts toward advancing scientific applications that are deemed scientifically or socially distinguished.” Fellows were selected for diverse accomplishments that include pioneering research, leadership within their field, teaching and mentoring, fostering collaborations and advancing public understanding of science. 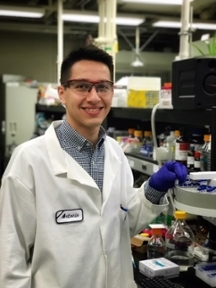 Antonio Tinoco Valencia (Fasan Group) was awarded “Best Graduate Student Oral Presentation in Organic Chemistry” at the 2018 Society for Advancement of Chicanos/Hispanics and Native Americans in Science (SACNAS) National Diversity in STEM Conference. This year the three day (10/11-10/13) conference was held in San Antonio, TX where SACNAS awarded 105 graduate and undergraduate underrepresented minority students for their research and presentation skills. The Presentation Awards recognize the next generation of scientists and STEM leaders for exemplary science, while giving visibility to their investigations and home institutions. The awards also encourage students to continue growing a career in science. 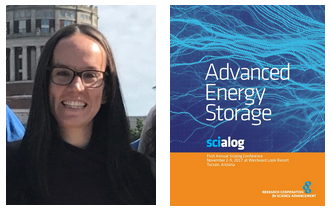 Professor Ellen Matson has been selected as a Scialog Fellow for Advanced Energy Storage by the Research Corporation for Science Advancement (RCSA). RCSA is a foundation providing catalytic and opportunistic funding for innovative scientific research and the development of academic scientists-advancing American competitiveness in science and technology. UR Chemistry volunteers at Horizons! 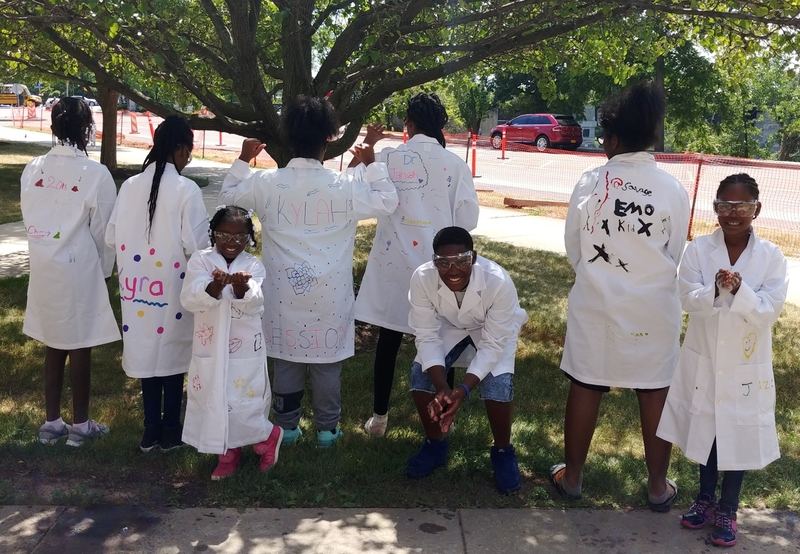 During the summer of 2018, several graduate students from the Chemistry Department participated as volunteers for the annual Horizons at Warner Summer Program. The Horizons Program is a high quality academic enrichment program for low-income K – 8th grade students from the Rochester City School District that takes place each summer on the University of Rochester Campus. The students experience a non-traditional school setting on our university campus for six weeks. A notable approach of the Horizons program is that it provides opportunities for blending academics with arts, sports, cultural enrichment, field trips, and confidence-building activities. Each summer at the University of Rochester, a group of about 60 incoming undergraduate students participate in the Early Connection Opportunity program - a bridge program between high school and university that is designed to start students off in the right direction. Operating within the Office of Minority Student Affairs (OMSA), the program runs for four weeks, during which time the students live on campus and take a full course load to prepare them for their first semester at UR. 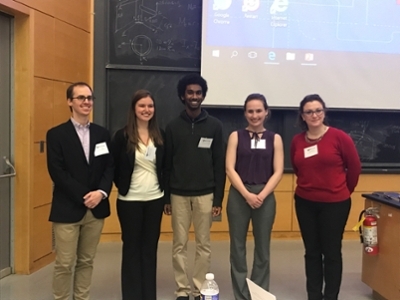 For the past three years, the Chemistry Department has participated in this excellent program, with a chemistry lecture course being created and taught by graduate student Lauren VanGelder (Matson Group). The course content is structured to prepare the scholars for their UR general chemistry course; it consists of lecture four days of the week, workshops twice each week (lead by teaching assistants Shukree Abdul-Rashed and Jordan Andrews), and one laboratory experiment. As a result of the program, ECO scholars are well prepared to take on their undergraduate studies at UR. Dr. Ellen Matson has been announced the winner of the 2018 Edith Flanigen Award. The Edith Flanigen Award is conferred annually by the CRC 1109 to an exceptional female scientist at an early stage of her career (postdoctoral fellow, junior researcher) for outstanding results on metal oxide water systems. It is associated with a financial support of 15,000 Euro, one third of which represents a personal award, while the other two thirds are meant to enable research stays within the surroundings of the CRC thus establishing collaborative links. This years award ceremony is taking place at the 10th of October. 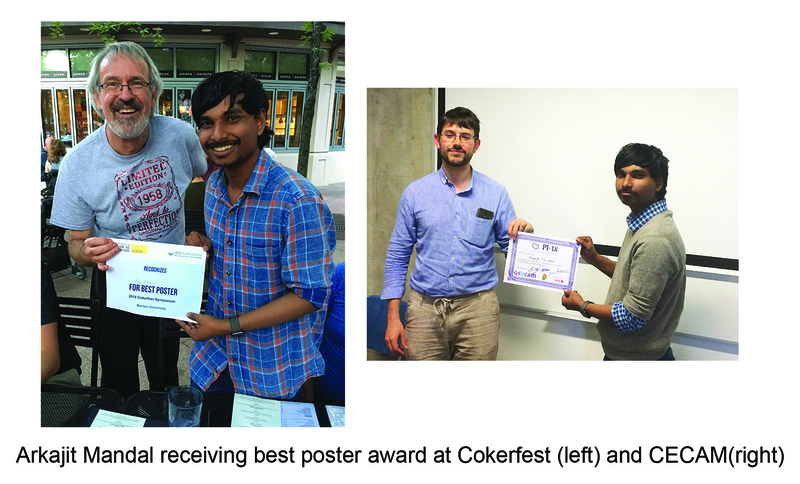 Arkajit Mandal awarded best poster at CECAM and "Cokerfest"
Arkajit Mandal (3rd year graduate student in the Huo Group) was awarded two best poster awards, one at the “Path Integral Quantum Mechanics” school hosted by Centre Européen de Calcul Atomique et Moléculaire (CECAM) and the other at the “Cokerfest” held at Boston University, for the development of the Quasi-diabatic scheme for on-the-fly quantum dynamics propagation (https://pubs.acs.org/doi/10.1021/acs.jctc.7b01178). 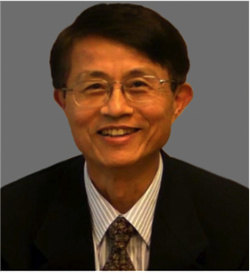 Dr. Bing Gu (Franco group) has been named as one of four recipients to win a 2018 Young Investigator Award by the Physical Chemistry division (PHYS) of the American Chemical Society (ACS). Each year the PHYS division recognizes four young researchers for their work as postdoctoral fellows (two for theory and two for experiments). The winners are invited to speak about their research at the Fall ACS meeting in August, this year in Boston. 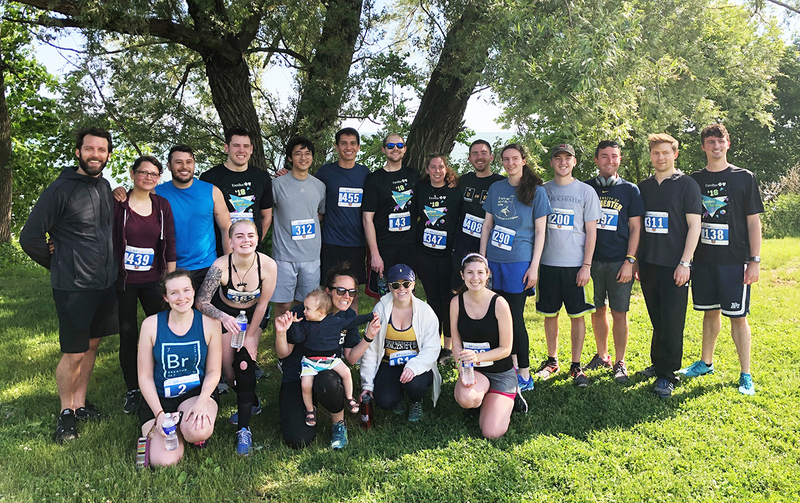 UR Chemistry runs the Teacher’s Challenge 5k! 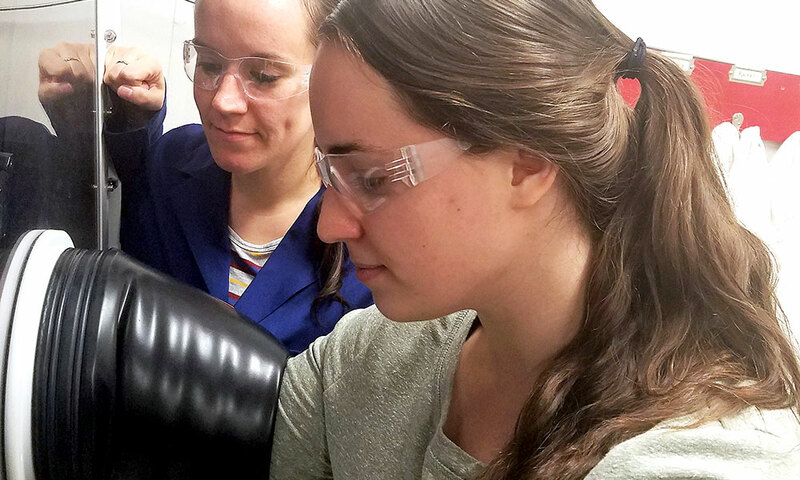 Viktoria Steck, a fourth-year graduate student in Prof. Fasan’s research group, was awarded an American Chemical Society (ACS) Division of Inorganic Chemistry Travel award. With support from this award, Viktoria attended the 255th ACS Meeting in New Orleans, LA, where she presented a talk on her research entitled: “Mechanism-guided design of efficient P450 catalysts for C-H amination via nitrene transfer“. Merjema Purak, undergradute student in the Matson Group, was awarded best talk at the 2018 ACS Western New York Undergraduate Rsearch Symposium. Merjema presented her research on "Kumada Coupling of Halogenated N-Heterocycles Using a Manganese Salt." Farnaz A. Shakib was one of the two awardees of the 2018 Wiley Computers in Chemistry Outstanding Postdoc Award. 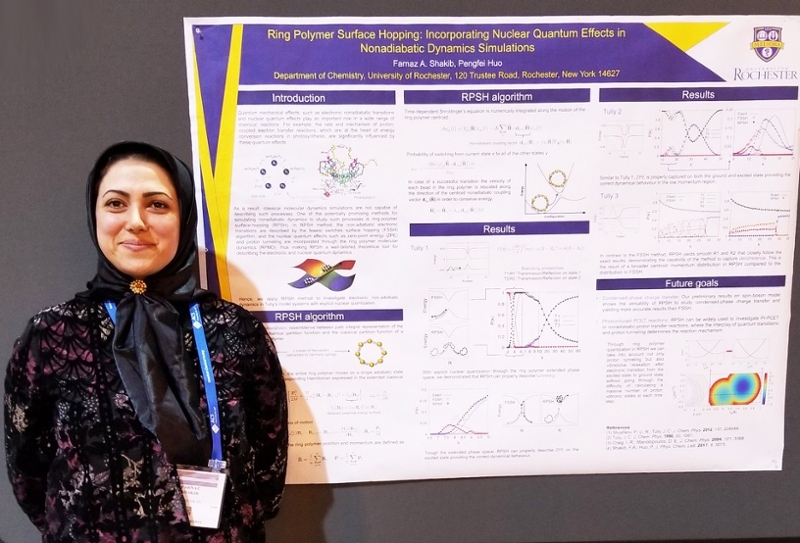 Farnaz received the recognition at a public reception in the 255th American Chemical Society National Meeting in New Orleans presenting her work on incorporating nuclear quantum effects into nonadiabatic molecular dynamics simulation via ring polymer surface hopping. Farnaz has obtained her BSc degree in applied chemistry in Tabriz University, Iran, followed by a MSc degree in Organic Chemistry. Switching to theoretical and computational chemistry she joined Dr. Gabriel Hanna’s group in the University of Alberta, Canada, where she received her PhD in 2016. Afterwards, she continued her research on developing novel quantum dynamics methods by joining Huo group in the University of Rochester. Engaging in the continuous effort in Huo group to push the boundaries of quantum dynamics simulation techniques her main focus was on developing efficient yet accurate methods to study the nonadiabatic dynamics of charge transfer reactions in natural and artificial photosynthesis. Hayden Carder, who graduates this year with a B.S. in Chemistry, has been selected as an awardee for the NSF Graduate Fellowship Award. The seniors who have won Chemistry Awards, will be recognized at this year’s Chemistry Diploma Ceremony, on May 20, 2018. Kathryn Knowles, assistant professor of chemistry, and Martina Poletti, assistant professor of neuroscience, are this year’s recipients of University Furth Fund awards. The Furth Fund, established through the generosity of Valerie and Frank Furth, provides early career scientists with $10,000 in research funds. The funds are used to promote the research activities of the faculty member, which may include the purchase of new equipment or support for graduate students or postdocs. 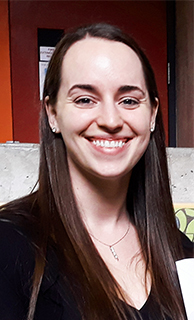 Brittney Petel, graduate student in the Matson Group, was awarded the ACS Women Chemists Committee/Eli Lilly Travel Award for Fall 2018. This is awarded on the basis of scientific merit and financial need and funds registration, travel, and accommodations to meetings within the United States. It is with great sadness that we share the news that Professor Andy Kende passed away suddenly on the 20th of February, 2018. He was 85 years old. 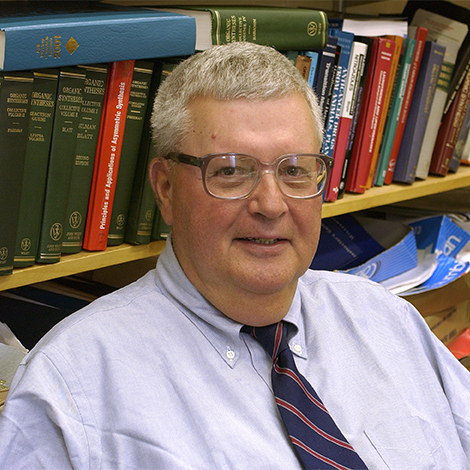 Andy Kende was the Charles F. Houghton Professor of Chemistry, Emeritus and a former Department Chair. At Rochester, Andy had the reputation for demanding scientific excellence and would not settle for less than the pursuit of science at the highest level. 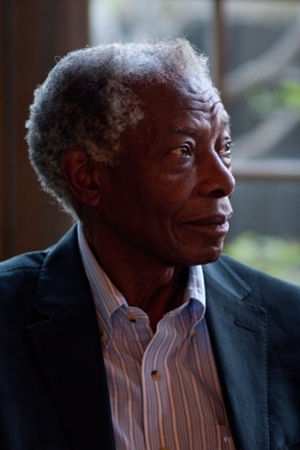 He mentored over 50 postdocs and 50 students during his career. Congratulations to Dave McCamant for being selected as the first recipient of The College Award for Undergraduate Teaching and Research Mentorship. Thanks to the generous support of Frederick D. and Susan Rice Lewis in 2017, the College Award for Undergraduate Teaching and Research Mentorship recognizes a tenured faculty member in Arts, Sciences and Engineering who excels as a scholar, teacher, and mentor of undergraduate students. The College will honor Dave at the Undergraduate Research Exposition and Awards Presentation on Friday April 20, 2018 at 3:00pm in Flaum Atrium. In order to power entire communities with clean energy, such as solar and wind power, a reliable backup storage system is needed to provide energy when the sun isn’t shining and the wind doesn’t blow. 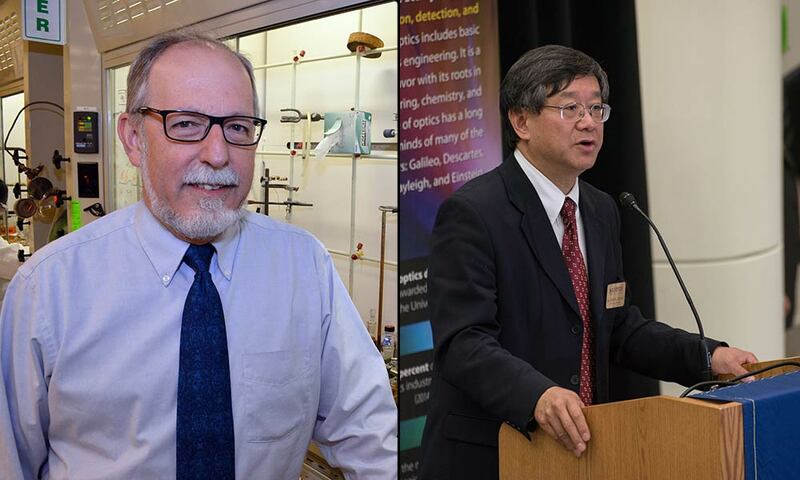 Two University of Rochester faculty members—William Jones of the Department of Chemistry and Xi-Cheng Zhang of the Institute of Optics—have received prestigious Humboldt Research Awards. The awards will enable them to spend up to one year cooperating on a long-term research project with specialist colleagues at a research institution in Germany. 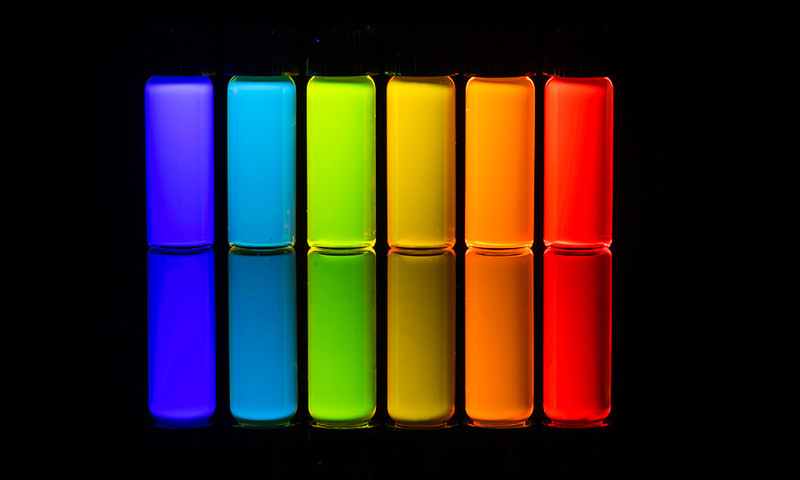 For more than 30 years, researchers have been creating quantum dots—tiny, crystalline, nanoscale semiconductors with remarkable optical and electronic properties. Back in 1959, early in his career as a Kodak chemist, Donald Batesky was lead author of a paper in the Journal of Organic Chemistry. 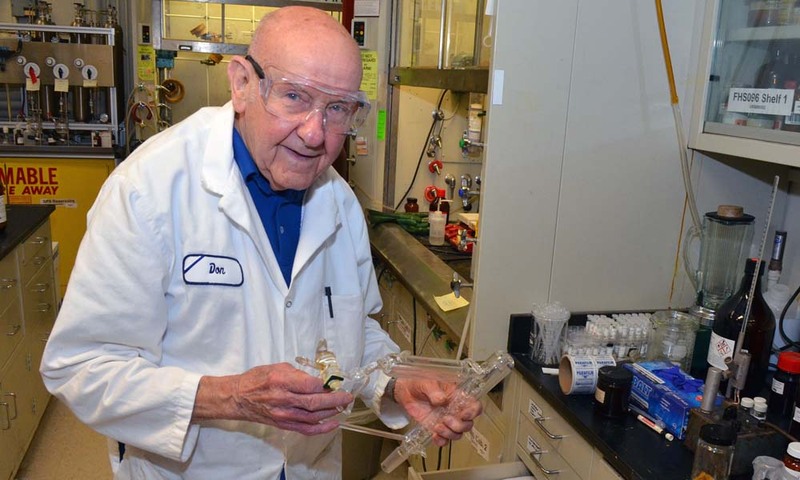 Now, at 85 years old and in his “third career” as a research associate in the Department of Chemistry at the University of Rochester, Batesky is lead author of another paper in the journal—a “featured article,” no less, selected as an “editor’s choice,” and the seventh-most read article in the journal for the previous 12 months. 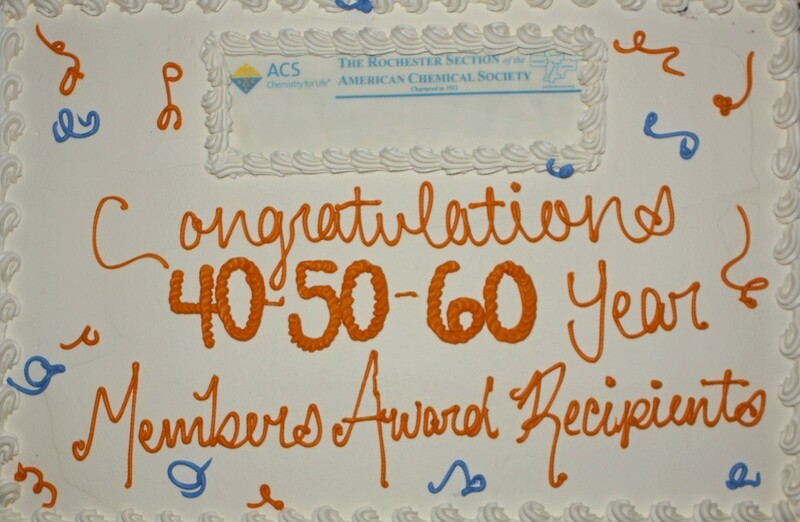 The local Rochester section of the American Chemical Society honored 50, 60 and 70 year members at their awards and recognition dinner on Wednesday, October 11th. Prof. Bob Boeckman and his wife, Dr. Mary Delton, were honored as 50-year members of the ACS. Shown below are each honoree with Dr. Allison Campbell, current president of the ACS and research scientist from the Pacific Northwest National Laboratory. A big crowd of Rochester chemists came together to celebrate. Lauren VanGelder (3rd year graduate student in the Matson Group) was awarded 1st prize in a poster contest at yesterday’s "New York Battery and Energy Storage Technology Consortium (NY-BEST) Energy Storage Conference", for her work on Vanadium-oxide Clusters as electrolytes for Redox Flow Batteries. Chemistry major Austin Bailey ’18 (T5) has been able to carry out specialized research to a rare degree for an undergraduate student. As a participant in the National Science Foundation–funded Research Experience for Undergraduates (REU) in summer 2015, he was introduced to the world of carbon nanotubes. He’s been studying them ever since. At one time you could wander through the labs of pharmaceutical companies and hardly ever see light being used to mediate chemical reactions. Now “photoredox catalysis” has become an essential way to synthesize novel organic compounds. Ignacio Franco, Assistant Professor of Chemistry and Physics, was awarded the ACS OpenEye Outstanding Junior Faculty Award for Fall 2017. The ACS COMP OpenEye Outstanding Junior Faculty Award program provides $1,000 to up to four outstanding tenure-track junior faculty members to present their work in COMP poster session at the Fall 2017, Washington DC ACS National Meeting. The Awards are designed to assist new faculty members in gaining visibility within the COMP community. Award certificates and $1,000 prizes will be presented at the COMP Poster session. 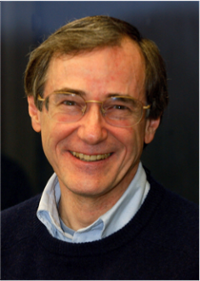 William Jones, the Charles F. Houghton Professor of Chemistry, will receive the 2017 Organometallic Chemistry Award from the Royal Society of Chemistry for finding new methods for converting hydrocarbons into chemicals found in useful, everyday products. Antonio Tinoco (2rd year graduate student in the Fasan Group) was awarded a Ford Predoctoral Fellowship this past March. This program is a highly competitive, nation-wide program seeking to increase the diversity of the university faculties by increasing their ethnic and racial diversity, to maximize the educational benefits of diversity, and to increase the number of professors who can and will use diversity as a resource for enriching the education of all students. Selected students have showcased superior academic achievement and a degree of promise of continuing achievement as scholars and as teachers, along with a personal engagement with underrepresented communities and an ability to bring this asset to learning and teaching at the university level. Chemistry Seniors and Juniors Win University of Rochester Awards! Ellen Matson, assistant professor of chemistry, and Andrew Wojtovich, assistant professor of anesthisiology, are recipients of the 2017 Furth Fund awards from the Provost's Office. The University of Rochester has announced that Chemistry Professor Kara L. Bren has been selected as the recipient of the 2017 Edward Peck Curtis Award for Excellence in Undergraduate Teaching. The award will be presented to Professor Bren at the College Commencement Ceremony on Sunday, May 21, 2017. Kara received strong nomination letters from both current and former colleagues and undergraduate students. Kara’s students described her enthusiasm for teaching chemistry, and provided passionate testimonials of how she has been an enormous influence in their budding scientific careers. A common thread in all the student letters is that Kara deepened their interest in science, especially Chemistry, and that as a result the interactions between Kara and these students were life-altering. Congratulations to the Krauss and Weix research groups for the March 10, 2017 publication of their Journal of the American Chemical Society(JACS) article entitled “General and Efficient C-C Bond Forming Photoredox Catalysis with Semiconductor Quantum Dots.” The first paper of the nascent Krauss/Weix collaboration shows, for the first time, that semiconductor quantum dots are actually excellent, long-lived catalysts for a variety of photoredox reactions normally conducted with small molecule dyes (Ir, Ru, organic dyes). 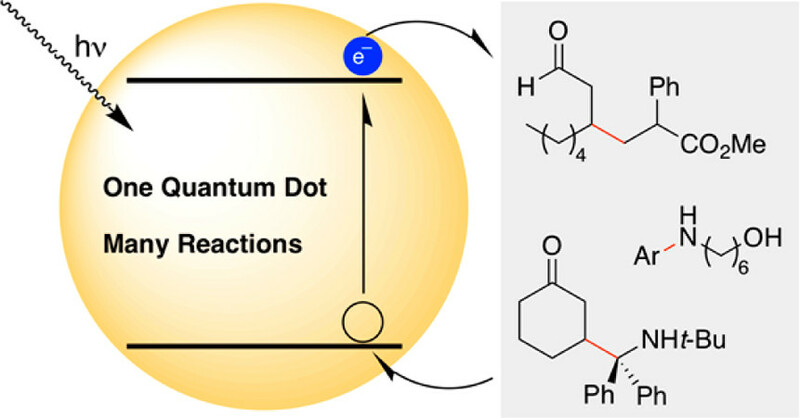 This is a nice advance because QDs can be tailored for a purpose, provide many of the advantages of heterogeneous catalysts without the disadvantages, and have excellent photophysical properties. 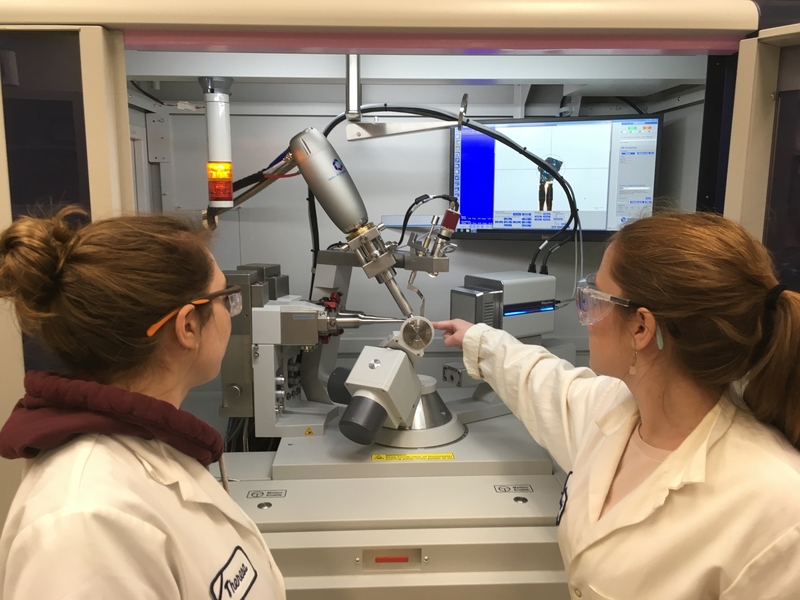 From the Weix group, Dr. Jill Caputo with assistance from undergraduate Norman Zhao, handled the synthetic end while Leah Frenette and Dr. Kelly Sowers, of the Krauss group, supplied custom QDs and helped with measurements. NSF Graduate Research Fellowships Awarded to UR Students and Alumni. Others Receive Honorable Mention. 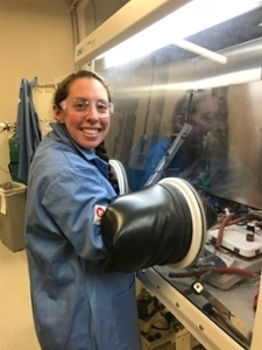 Lauren VanGelder, a graduate student working in Prof. Ellen Matson’s lab, has been selected as an awardee for the NSF Graduate Fellowship Award. After graduating from Brockport High School, Lauren attended the University at Buffalo (SUNY), where she obtained degrees in Chemistry (B.S.) and Biomedical Sciences (B.S.). 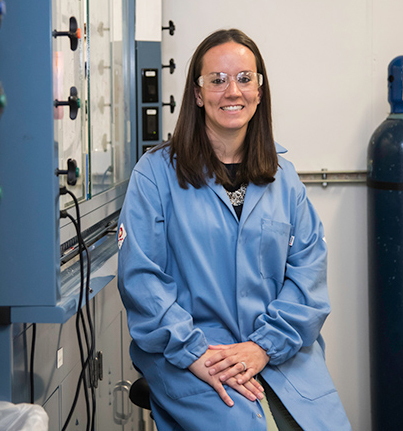 Following graduation, she returned to her hometown to pursue a Ph.D. in Inorganic Chemistry at the University of Rochester, where she is a founding member of the Matson Lab. Her research focuses on the synthesis of heterometallic polyoxometalate-alkoxide clusters and their applications in small molecule activation. Prof. Eisenberg featured in a new series called, "Chemistry in Retrospect"
The Sceptical Chymist, a blog from Nature Chemistry​, has a new series called “Chemistry in Retrospect”. Check out their inaugural story which features Professor Rich Eisenberg as he recounts the story behind how his group came to develop parahydrogen-induced polarization NMR techniques as a case study in how curiosity can take fundamental research in new and unexpected directions. It serves as a reminder that sometimes you don’t get what you sought out, and a well-prepared mind can capitalize on that. The concept behind microbial fuel cells, which rely on bacteria to generate an electrical current, is more than a century old. But turning that concept into a usable tool has been a long process. Microbial fuel cells, or MFCs, are more promising today than ever, but before their adoption can become widespread, they need to be both cheaper and more efficient. 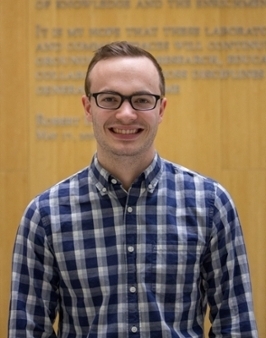 Congratulations to Austin Bailey, who won First Prize in this year's competition for the Research Initiative Award, organized by the Friends of the UR Library. This annual award recognizes excellence in undergraduate research leading towards a senior thesis, capstone project, or an independent research project. Applicants must be full-time undergraduate students enrolled at the University of Rochester and be interested in working towards a senior thesis, capstone project, or an independent research project. Congratulations to Prof. Weix, our new AAAS Fellow! AAAS - The American Association for the Advancement of Science​ Council elected 391 members as Fellows of the association, in recognition of their contributions to innovation, education, and scientific leadership. Prof. Weix will receive his award on February 18 at a Fellows Forum at the AAAS Annual Meeting in Boston. UR Chemistry completes new NSF-funded Raman facility! The Chemistry Department recently completed construction of its new multi-user Raman spectroscopy facility, funded by a grant to Profs. 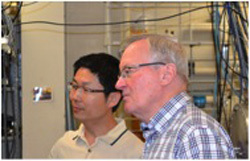 Neidig and McCamant from the National Science Foundation's Major Research Instrumentation (MRI) program. The facility has 11 different CW diode lasers from the ultraviolet to the near infrared, combined with a triple spectrograph and CCD detection system and cryogenic sample handling. Raman spectroscopy can give detailed molecular information about materials by probing their molecular vibrational frequencies. University researchers hope to improve the odds of surviving acute myeloid leukemia (AML) with a promising drug that traces its lineage to a chemical found in magnolias. 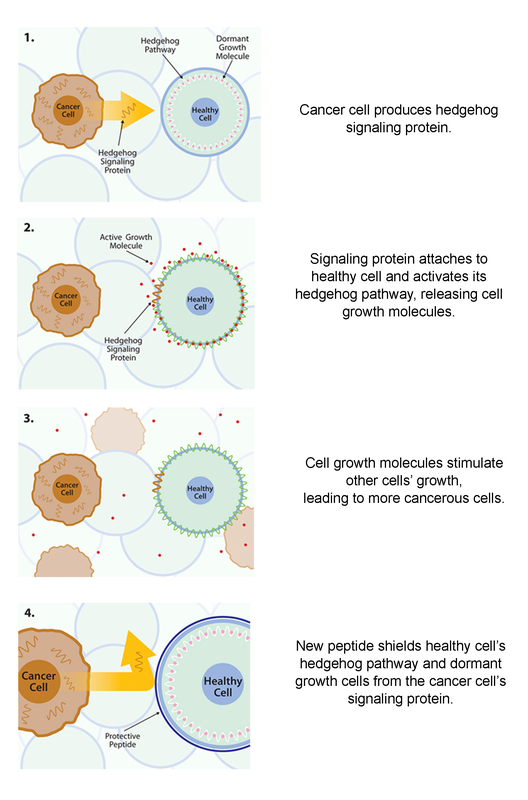 They will load the drug into nanoparticles that will target the inner recesses of bone marrow where leukemia stem cells lurk. Can you be a chemistry major and participate in Study Abroad opportunities? Absolutely! Just ask Lauren Bolz, pictured here in Kaikoura, New Zealand. "The Sceptical Chymist", a Nature Chemistry blog, recently featured Ellen Matson, Assistant Professor of Chemistry, in the blog's "Reactions" feature. Marshall Brennan, blog author, interviewed Prof. Matson asking things like, "What made you want to be a chemist? ", and "When was the last time you did an experiment in the lab – and what was it? ", as well as a few fun and personal questions such as, "Which historical figure would you most like to have dinner with – and why?". Assistant Professor Kathryn Knowles will officially join the Department of Chemistry faculty as of July 1, 2016. Dr. Knowles received a B.S. Chemistry, and a B.A. in Mathematics in 2008 from the University of Rochester. She completed her Ph.D. at Northwestern University with advisor Prof. Emily Weiss on her thesis entitled: “Decay and Dissociation of Excitons in Colloidal Semiconductor Quantum Dots in the Presence of Small Molecules.” Dr. Knowles then went to the University of Washington for postdoctoral research. We are thrilled to have Dr. Knowles return to Rochester and the Department of Chemistry. Prof. Rudi Fasan, Associate Professor of Chemistry; Danielle Benoit, Associate Professor of Biomedical Engineering; and Benjamin Frisch, Research Assistant Professor of Medicine (Hematology/Oncology) were recipients of a 2016-17 University Research Award. Several chemistry majors have been awarded Chemistry Awards and will be recognized at this year’s Chemistry Diploma Ceremony, on May 15, 2016. Christine Ziegler, Rachel Kasimer and Lauren Bolz win University awards! The 2016 Janet Howell Clark Prize is being awarded to Rachel Kasimer (CHM BS ’16). The Janet Howell Clark Prize is awarded annually to a senior woman who has shown the greatest promise in creative work in astronomy, biology, chemistry, or physics, and who has shown outstanding versatility in the mastery of allied fields. Selection is based on recommendations by the respective departments, which are evaluated by a committee appointed by the Dean of the College. The award consists of a cash prize and recognition at a special senior ceremony the Saturday of commencement. Rachel will also be recognized at the Chemistry Diploma Ceremony. As of July 1, 2016, Professor Michael Neidig will serve for two years as Wilmot Assistant Professor in the School of Arts, Sciences, and Engineering. The announcement was made by Dean Peter Lennie, who explained that this appointment carries with it an annual research fund of $5,000. Professor Daniel J. Weix and his group have been awarded renewed funding of $1.3 million over 4 years by the National Institutes of Health (NIGMS) to develop new reductive cross-electrophile coupling reactions and study their mechanisms. Cross-electrophile coupling reactions were pioneered in the Weix group and are now frequently used at pharmaceutical companies in drug discovery and development. NSF Graduate Research Fellowships Awarded to Astrid Olivares & Two Chemistry Alums. Others Receive Honorable Mentions. Astrid Olivares, a second-year graduate student working in Prof. Dan Weix’s lab, has been selected as a 2016-2019 NSF Graduate Research Fellow. Two of our Alumni, Louis Papa (now at MIT), andKevin McClelland (now at Northwestern), also were selected to receive this prestigious award. 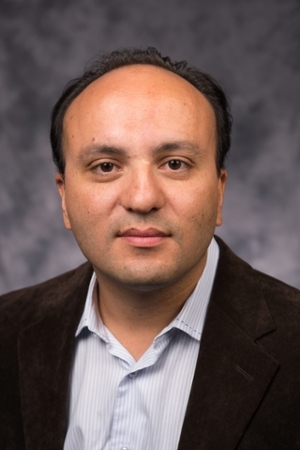 Congratulations to UR Chemistry Assistant Professor Ignacio Franco who is the recipient of a 2016 CAREER Award from the National Science Foundation for his proposal entitled “Decoherence, Non-Equilibrium Properties and Stark Control of Electrons at the Nanoscale.” The Faculty Early Career Development (CAREER) Program is a Foundation-wide program that offers the NSF's most prestigious awards in support of junior faculty who exemplify the role of teacher-scholars through outstanding research, excellent education and the integration of education and research within the context of the mission of their organizations. Such support is expected to help build a firm foundation for a lifetime of faculty leadership in integrating education and research. UR Ventures Technology Review reports that after presenting their projects to the Technology Development Fund Executive Committee, Chemistry faculty members are co-investigators on two of the four teams that have received the latest round of awards from the University's Technology Development Fund. TDF funding allows for proof-of-concept experimentation and pre-clinical studies. 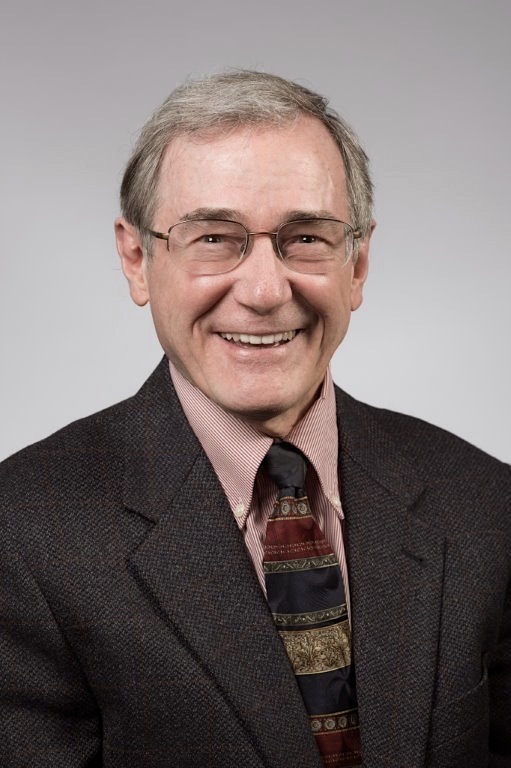 Bill Jones Interviewed on WXXI News Radio about "Potentially Better Ethanol"
Connections, a radio show with WXXI News, featured Professor Jones, when their Monthly Science Roundtable asked the question: "What if science could fix one of our country's big energy mistakes?" Evan Dawson, host of Connections with WXXI News, states that: "A decade ago, government was all-in on corn-based ethanol. This produced bad results on a number of levels: environmental, energy efficiency, the impact on food and crop rotation, etc. But now a team led by a researcher at the University of Rochester is zeroing in on a method to make ethanol much more efficient, and much less corrosive. Will it work?" The Weix Group recently discovered a new solution to the long-standing challenge of cross-coupling two different aryl electrophiles - a multimetallic cross-Ullman reaction. Graduate student Laura Ackerman, assisted by undergraduate Matt Lovell, developed a method to couple an aryl bromide with an aryl sulfonate ester selectively. The secret is to use a combination of two different metal catalysts, palladium and nickel, along with a simple fluoride salt. Given the abundance of the aryl starting materials and the importance of biaryls in pharmaceuticals and materials, this new reaction could find wide application. Terrell Samoriski, Journal of Organic Chemistry Editorial Assistant to Professor Bob Boeckman, is this year's recipient of the Sandra M. Beach Memorial Award for outstanding service to the Chemistry Department. 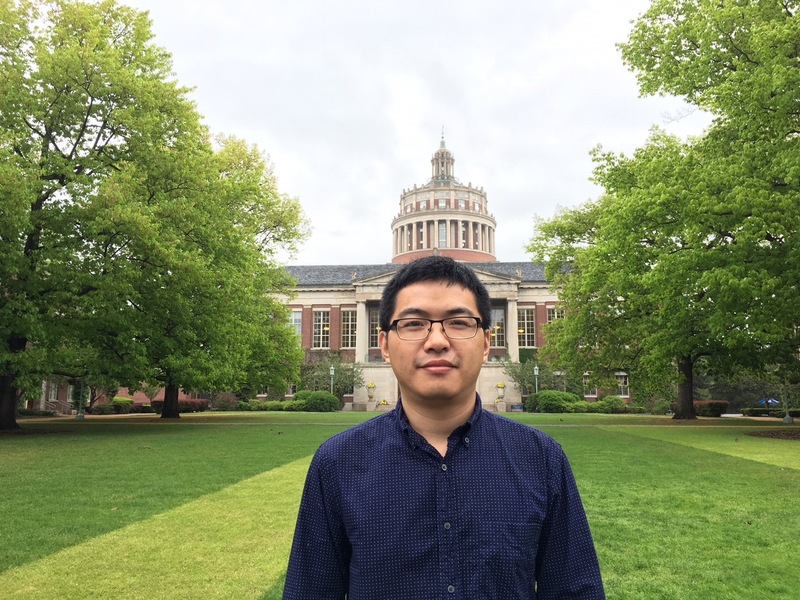 PENGFEI (FRANK) HUO will officially join our Chemistry faculty in July 2015. Frank received his B.S. in chemistry from Lanzhou University of China in 2007. He then moved to Boston University to pursue his Ph.D. in theoretical chemistry with David Coker. Frank's Ph.D. work focused on developing efficient and accurate nonadiabatic dynamic methods to understand the excitation energy transfer process and the electronic coherence in natural light harvesting systems. In 2012 he joined CalTech as a postdoctoral researcher in the group of Tom Miller where he worked on extending the linearized path-integral method to simulate the electron and excitation transfer dynamics, as well as applying a variety of novel computational methods such as ab-initio molecular dynamics tools and wavefunction-in-DFT embedding approach to explore the fundamental aspects of electron and proton transfer mechanisms in cobaltbased hydrogen evolution catalysts. He was recognized as one of the "top reviewers for The Journal of Chemical Physics" (2012) and received an "ACS PHYS Division Postdoctoral Research Award" (2014). The Huo research group develops and applies multiscale theoretical approaches that combine novel dynamics and methods and scalable electronic structure methods to investigate the complex reaction dynamics associated with solar energy harvesting and storage processes. Chitavi Maulloo, Rachel Kasimer and Christine Ziegler win University awards! The 2015 Janet Howell Clark Prize is being awarded to Chitavi Devi Maulloo(CHM BS, BMG BS ’15). The Janet Howell Clark Prize is awarded annually to a senior woman who has shown the greatest promise in creative work in astronomy, biology, chemistry, or physics, and who has shown outstanding versatility in the mastery of allied fields. Selection is based on recommendations by the respective departments, which are evaluated by a committee appointed by the Dean of the College. The award consists of a cash prize and recognition at a special senior ceremony the Saturday of commencement. Chitavi will also be recognized at the Chemistry Diploma Ceremony. Michael L. Neidig, Assistant Professor of Chemistry, has been named a 2015 Alfred P. Sloan Research Fellow in Chemistry. Professor Neidig’s research focuses on non-precious metal catalysis in organic chemistry, including iron-catalyzed cross-coupling and iron- and cobalt-catalyzed direct C-H functionalization. Lukiana Anka-Lufford Awarded Division of Organic Chemistry Travel Award! 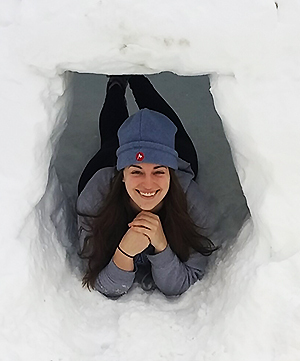 Lukiana Anka-Lufford, a graduate student in Dan Weix’s group, was recently awarded the American Chemical Society (ACS) Division of Organic Chemistry Travel award in the amount of $600. With this award, Lukiana plans on attending the Spring ACS meeting in Denver, CO ( March 22-26, 2015) where she will present a talk on her research entitled: “A new co-catalyst strategy: Cobalt and nickel-catalyzed cross-electrophile coupling of benzyl mesylates and aryl halides.“ Congratulations Lukiana! 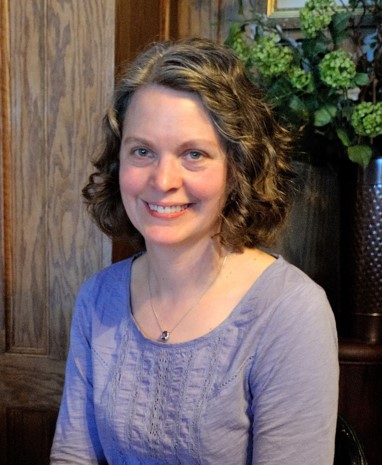 Assistant Professor Dr. Ellen Matson will officially join the Department of Chemistry faculty as of July 1, 2015. Dr. Matson comes to Rochester after completing her Ph.D. at Purdue University with advisor Professor Suzanne C. Bart on her thesis entitled: “Synthesis of Low-Valent Uranium Alkyl Complexes: Exploring the Reactivity of the Uranium Carbon Bond for the Activation of Small Molecules.” Dr. Matson then went to the University of Illinois at Urban-Champaign for postdoctoral research in the area of first-row transition metal complexes with Professor Alison R. Fout. Congratulations to Assistant Professor Michael L. Neidig who is the recipient of a 2015 CAREER Award from the National Science Foundation. The Chemical Catalysis Division will support Professor Neidig’s research by providing $675K over the next five years. 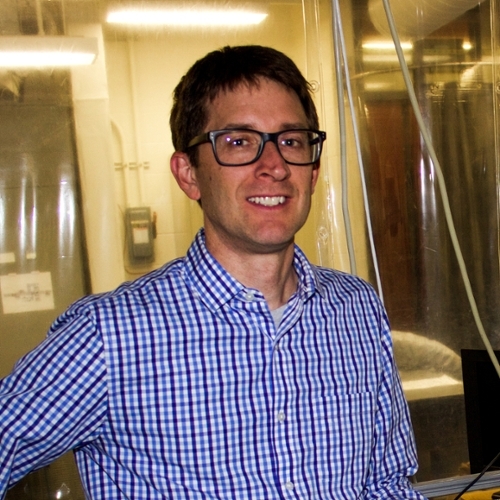 Assistant Professor of Chemistry Michael L. Neidig and his group have been awarded a 5-year, $1.4 million grant by the National Institutes of Health (NIGMS) to study new iron-catalyzed coupling reactions. Their long-term goal is to develop iron-catalyzed C-C cross-coupling to the level of understanding currently present for palladium, thus permitting the rational development of iron chemistry across the spectrum of desired C-C bond forming reactions. The objective of the proposed project is to utilize a novel experimental approach combining inorganic spectroscopies, density functional theory and synthesis to develop molecular-level insight into active catalyst structure and the mechanisms involved in current leading edge iron-catalyzed C-C cross-coupling reactions, and to utilize this insight to develop new catalysts and reaction methodologies with improved catalytic performance. The iron-based cross-coupling reaction studies in this grant utilize low-cost, non-toxic metals that offer the potential for the development of sustainable catalytic systems for use in the health sciences. The proposed research is relevant to public health and the mission of the NIH because it is from these low-cost, sustainable methods that affordable routes to the next generation of pharmaceuticals and molecular probes will be discovered. Daniel J. Weix, an associate professor of chemistry at the University of Rochester, has been named a recipient of the Novartis Early Career Award in Organic Chemistry. Novartis, a multi-national pharmaceutical company based in Switzerland, honors two scientists each year who are “within 10 years of having established an independent academic research career in the areas of organic or bioorganic chemistry in the broadest sense.” The Novartis Early Career Award comes with a $150,000 grant over three years to continue the recipient’s research. 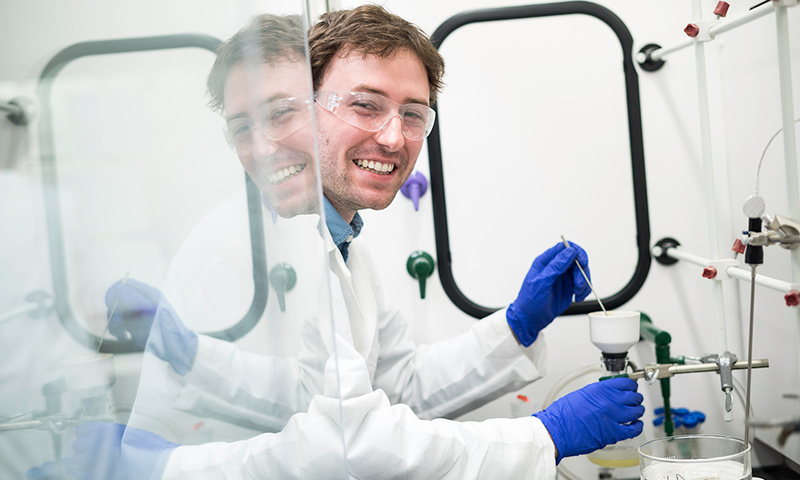 Weix, who specializes in organic (carbon-based) synthesis, is working on developing better ways of creating molecules in order to accelerate the discovery of new, useful compounds, including pharmaceuticals. Daniel J. Weix, an associate professor of chemistry at the University of Rochester, was selected to receive a Pharmaceutical Roundtable grant by the American Chemical Society Green Chemistry Institute and was also a recipient of the 2014 Pfizer Green Chemistry Award for his research of non-precious metal catalysis. Professor Todd Krauss has been selected to join the 2015 class of Fellows of the Optical Society(OSA). Todd is being recognized for major contributions to the measurement and understanding of spectroscopy and excited state relaxation dynamics in II-VI semiconductor nanocrystals and carbon nanotubes at both the ensemble and single particle levels. One of his enthusiastic letter writers made the comment, “Todd has clearly distinguished himself as one of the leaders worldwide in the photophysics of nanomaterials. He communicates his ideas very well; he is motivating, enthusiastic and connects with the audience. He has an excellent sense of humor and understands how to capture the attention of the audience. To summarize, Todd’s scientific contributions and service to the Optics community need to be recognized. I strongly support his nomination and hope he’ll soon be a fellow Fellow.” Todd will be inducted as an OSA Fellow during one of the OSA conferences to be held in 2015. Founded in 1916, The Optical Society (OSA) is the leading professional association in optics and photonics, home to accomplished science, engineering, and business leaders from all over the world. Associate Professor of Chemistry Daniel J. Weix is a scientist, but he nonetheless talks about the creative aspects of chemistry and the art of organic synthesis. Weix specializes in organic (carbon-based) synthesis and is working to develop better ways of creating molecules in order to accelerate the discovery of new, useful compounds, including pharmaceuticals. Dan earned his B.S. in Chemistry at Columbia University in 2000, and his Ph.D. degree under the direction of Professor Jonathan Ellman at the University of California, Berkeley in 2005. He spent three years as a postdoctoral fellow with Professor John Hartwig at Yale University and the University of Illinois at Urbana-Champaign prior to joining our department. On July 1, 2008. 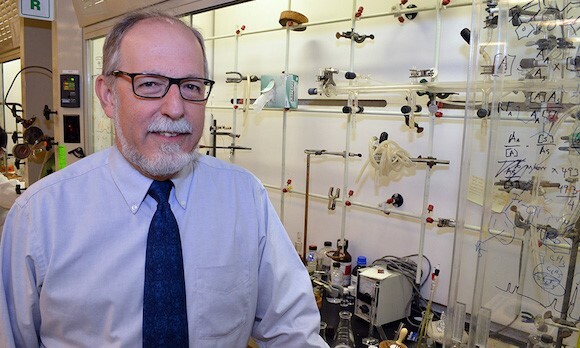 Dan came to Rochester with an extremely strong background in synthetic and organometallic chemistry, focusing on the development of new methods for C-C bond formation used in organic synthesis. 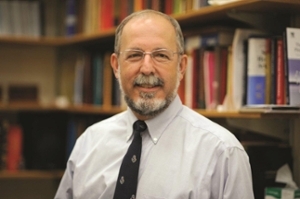 In recognition of the novelty and importance of his published and ongoing work, Dan has also recently been awarded major NIH research support, a Fellowship from the Alfred P. Sloan Foundation (2013), a Thieme Chemistry Journal Award (2013), and a Green Chemistry Award from the Pfizer-Groton Green Chemistry Team (2012). Dan is also an extraordinarily effective teacher at both the undergraduate and graduate levels, and he has developed new curricula for several courses including CHM 435, a graduate level course on synthetic methods, and CHM 210, an honors level organic chemistry laboratory course. Sandra Beach served as the Department Secretary from 1991 until her tragic death in an automobile accident in 1993. She was an extremely important and well-liked staff member whose cheerful and helpful attitude made her an invaluable asset. 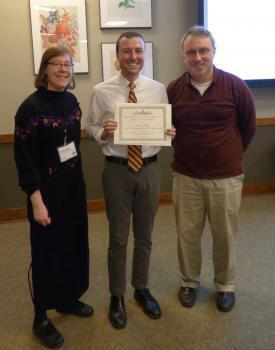 Congratulations to Daniel Everson, who received his Ph.D. in 2013 under the guidance of research advisor Dan Weix. The title of this thesis was “Nickel-Catalyzed Electrophile Cross-Coupling of Aryl Halides”. Dan received his B.S. in Chemistry in 2007 from the University of St. Thomas in St. Paul, Minnesota, and is currently working as a postdoctoral associate in the laboratory of Christopher J. Douglas at the University of Minnesota in the Chemistry department. As Wendi Heinzelman, Dean of Graduate Studies for Arts, Sciences and Engineering wrote in her notification letter: This award is testament to your exceptional work as a graduate student at the University of Rochester. We are proud of all your accomplishments. Dan will receive a certificate and a monetary award in recognition of his achievement. The Rochester Distinguished Scholar Award recognizes alumni whose careers in academia, industry, government or the arts have exemplified the values and attributes of the University. 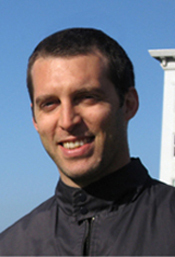 Ignacio Franco joined the Chemistry faculty at the University of Rochester in July 2013. Ignacio received his B.Sc. in chemistry from the National University of Colombia in 2001. After completing the diploma program in condensed matter physics at The Abdus Salam International Centre for Theoretical Physics in Trieste in 2002, he moved to the University of Toronto to pursue a Ph.D. in theoretical chemical physics under the guidance of Paul Brumer. Ignacio’s Ph.D. work was in the field of Quantum Control and focused on investigating the use of lasers to induce ultrafast controllable currents along nanoscale junctions. In 2008 he joined Northwestern as a postdoctoral fellow in the groups of Mark A. Ratner and George C. Schatz where he worked on the theory and simulation of single-molecule pulling experiments. He then moved to Berlin to take a position as group leader and Humboldt research fellow in the Theory Department of the Fritz Haber Institute in 2011, where he investigated electronic decoherence processes in molecules. The National Conference on Undergraduate Research is an organization that seeks to promote undergraduate research, scholarship, and creative activity using partnerships with faculty and other mentors as a way to achieve a higher education. Chosen from over 4,000 submissions, Ian will have the opportunity to present his work and interact with other student researchers and faculty from across the country throughout the four day event. The conference also includes graduate school fairs, oral and poster presentations, performing arts presentations, and speeches by renowned innovators such as Kris Kimel, the founder of IdeaFestival, and the president and co-founder of Kentucky Science and Technology Corp. Professor Daniel J. Weix was invited to attend the 25th annual Kavli Frontiers of Science Symposium held November 7-9, 2013 in Irvine, California. The 80-100 attendees were selected from among recipients of prestigious fellowships, awards, and other honors, as well as from nominations by NAS members and other participants. They are a group of distinguished scientists under 45 who have already made significant contributions in their fields. Since the symposium's inception in 1989, more than one hundred fifty of its "alumni" have been elected to the National Academy of Sciences, and ten have been awarded Nobel prizes. 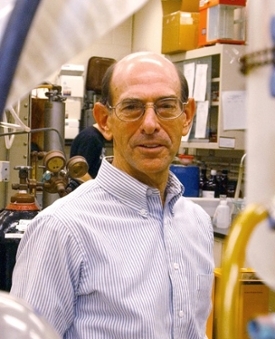 The Cincinnati Section of the American Chemical Society and Chemistry Department at the University of Cincinnati recently announced Rich Eisenberg as the 2013 Oesper Award Winner. The Oesper Award is given annually to recognize an outstanding chemist of our time for a lifetime of significant accomplishments in the field of chemistry with long lasting impact on the chemical sciences. Rich just recently received the Award when he spoke at the Symposium held in Cincinnati last week. Congratulations Rich! Rudi Fasan and Dan Weix were chosen to speak at the 8th Organic Young Academic Investigators Award Symposium held recently at the ACS National Meeting in Indianapolis, Indiana. The intent of the Symposium is to have the program composed of Assistant Professor speakers who are entering their fifth or sixth years and are not yet tenured. Sixteen speakers were invited to give 30-minute presentations on their work. The Rochester Area Community Foundation recently presented Dr. Walter Cooper, an alumnus of the University of Rochester, with its highest honor in recognition of his many charitable contributions. Cooper received the Joe U. Posner Founders Award at the foundation's annual luncheon at the Rochester Riverside Convention Center on September 18. The Journal of Physical Chemistry and the ACS Physical Chemistry Division created a new Lectureship Award which began in 2013. These awards, which will be held annually, honor the contributions of THREE investigators who have made major impacts on the field of physical chemistry in the research areas associated with each journal section. Dave McCamant was chosen as the winner of the Journal of Physical Chemistry B Lectureship: Biophysical Chemistry, Biomaterials, Liquids, and Soft Matter. The inaugural award Lectureships were held in September at the Fall 2013 ACS National Meeting in Indianapolis, Indiana. Where Does the Energy Go in a Chemical Reaction? Answering the question "Where does the energy go in a chemical reaction?" has been an abiding interest of Jim Farrar and his research group. Recognizing that ion-molecule reactions are among the fastest known gas phase processes has motivated the group to develop crossed molecular beam methods to study energy and angular momentum disposal in these chemical reactions. The experimental observations provide important correlations between reaction motifs and topological features of the underlying potential surfaces that describe the forces experienced by approaching reactants and separating products. The study of gas phase ion chemistry is based on mass spectrometry, with the result that molecular beam methods measure velocity vector distributions of reaction products. Measuring these distributions, generally with an energy analyzer that rotates around the collision center, produces an image of the products in velocity space that provides direct information on the velocities and scattering angles of newly formed reaction products. The ability to construct and manipulate biologically active molecules is central to the discovery of compounds with novel or improved pharmacological properties. Methods for the selective functionalization of aliphatic carbon-hydrogen (C—H) bonds are of particularly high synthetic value, as these chemical bonds are ubiquitous in natural and synthetic bioactive molecules. Performing this transformation with high efficiency and selectivity constitutes however a formidable challenge due to the strength of C−H bonds and the presence of several C−H bonds of similar energy in organic compounds, especially in complex molecules. A research team led by Prof. Rudi Fasan has reported a novel strategy to obtain cytochrome P450-based catalysts useful for the late-stage functionalization of unactivated C—H bonds in artemisinin, a complex natural product of prominent value in the fight against malaria (J. Am. Chem. Soc. 2012; 134(45): 18695–704). This impressive work was highlighted in the Chemical & Engineering News and selected for the JACS Spotlight "Enzyme Targets Hard-To-Oxidize Chemical Bonds". Congratulations to Rudi Fasan for winning the 2014 Tetrahedron Young Investigator Award in the Bioorganic and Medicinal Chemistry field (a second award is given for the field of Organic Synthesis). These two awards were created in 2005 by the Executive Board of Editors and the Publisher of Tetrahedron Publications and are presented to two individuals who have exhibited "exceptional creativity and dedication" in the fields Bioorganic/ Medicinal Chemistry and Organic Synthesis respectively. The Blavatnik Awards for Young Scientists competition has announced the results of their 2013 regional competition, naming Professor Pat Holland, Synthetic Bioinorganic and Organometallic Chemistry, one of five faculty winners. 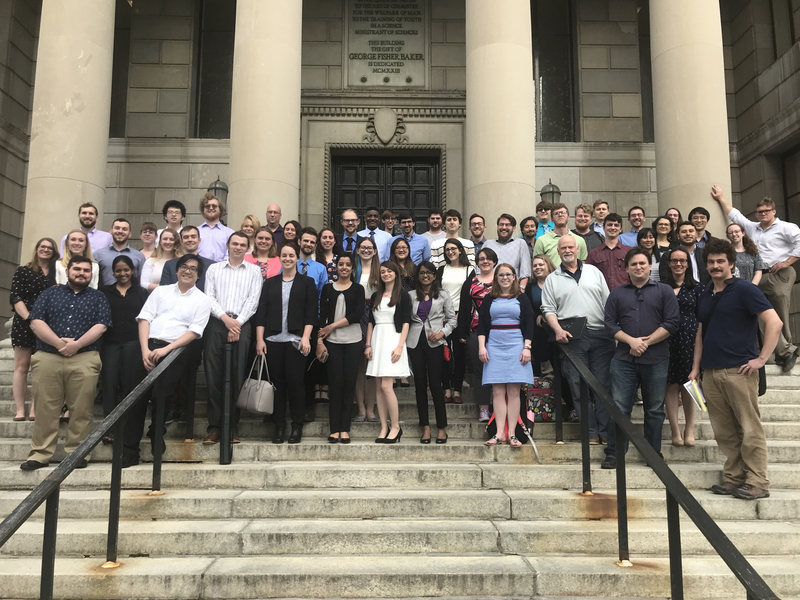 These exceptional scientists, along with two postdoctoral fellows and five finalists, were selected from a pool of more than 160 nominations across 35 scientific disciplines, submitted by 43 research institutions in New York, New Jersey, and Connecticut. Sarah Koniski and Louis Papa Awarded DAAD RISE Scholarships for research in Germany! Congratulations to Sarah Koniski ('14, BS Chemistry, Bren group) and Louis Papa ('14, BS Chemistry, Fasan group) who will be spending their summer conducting research in German laboratories through the German Academic Exchange Service-Research Internships in Science & Engineering Scholarship (DAAD-RISE) program. Chemistry Alums, Katherine Garner, Matthew DeMars, II, and Jonathan Goldberg Receive Honors! Chemistry alumna Katherine Garner, '11/T5, (BS, Chemistry; minor, ASL) has won a 2013-14 Carnegie Junior Fellowship. She is the first-ever UR student or alumna to receive this prestigious and extremely competitive fellowship. Only 8-10 Carnegie Junior Fellows are chosen each year. Kate will serve as a research assistant to a senior fellow in the Energy & Climate Program at the Carnegie Endowment for International Peace in Washington, DC, where she will help produce policy papers, op ed pieces, briefs for Congressional committees, and interact with government and international officials. More about Kate can be found on the University website using the link to the right. Congratulations to Ben Hafensteiner on being named this year’s Professor of the Year in the Natural Sciences. This award is bestowed on behalf of the University of Rochester Students’ Association who determined, after a careful screening of the pool of nominations, that Ben best fulfilled the criteria for this high honor. Kim Manbeck has been chosen as one of the recipients of the 2013 Edward Peck Curtis Award for Excellence in Teaching by a Graduate Student. Awardees are selected by the Dean of Graduate Studies and a University faculty committee, based on evidence of outstanding teaching, such as TA student and faculty evaluations, faculty letters of support and student recommendations. 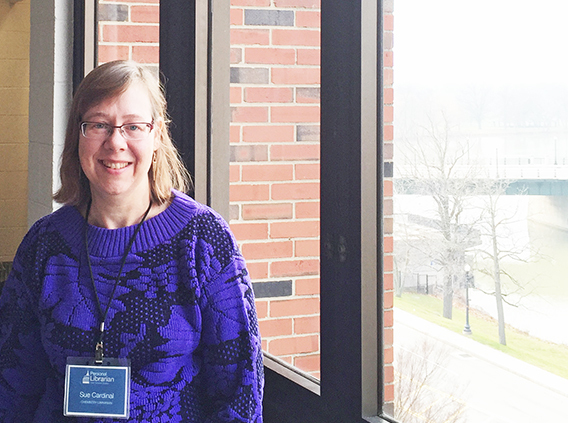 With this award, Kim is recognized for her outstanding performance as a teaching assistant in a wide variety of chemistry courses, her dedication and commitment to students, and her exceptional service to the Department of Chemistry. We will be having a get together (day/time to be announced) during which a member of the Dean's staff will present her award. Great job Kim! Our sincerest congratulations on this well-deserved honor! The Weix group is chosen for "Green" Award! Pfizer Worldwide Research & Development in Groton, Connecticut, actively promotes the twelve principles of green chemistry amongst their staff. One of the key components of the program facilitated by their Green Chemistry Team is internal recognition through the “Groton Labs Green Chemistry Award.” Annual awards are presented to Pfizer scientists who demonstrate outstanding performance by incorporating green chemistry into pharmaceutical research and development activities.